This is one of those questions I’ve asked Google so many times, I can type it at warp speed without even looking at my keyboard once. I talk to men and women every day who have gone through a painful breakup. Many of them are still trying to figure out how to get over a breakup while dating a new person, who although seems to check every box, does nothing but highlight the absence of their ex. And we all know the more you look for an eraser, the more highlighters you will find. I’ve gone through breakups where I felt suicidal. I was convinced that I’d never love again and that life as I knew it was over. And in a way, it was. The only thing that I based all of my worth and happiness on was gone. I don’t want to sugarcoat it and give this cliche answer that life wasn’t really over and I soon reclaimed my power, lived Happily Ever After, The End. I didn’t. Life as I knew it was definitely over. And just like with the death of a loved one, the death of each relationship took something out of me that to this day, hasn’t ever grown back quite the same as it was before the storm. I don’t think that there’s any set time for getting over a breakup. I’ve been in long-term relationships that were easier to get over than relationships I was in for a few months and… a YEAR later, I would still be doing my best to put one foot in front of the other, all from a 6-month relationship. How do you forget someone who’s seen your soul? Is there a way to undo the undoable? How are you supposed to authentically go about living your life in total contradiction to the reality of your heartbreak? Today, as removed and moved on as I am from past relationships and friendships that ended in a painful break, I would be lying if I said that I wasn’t still haunted at times by the most random things. You never know when the ghost from friendships and relationships past is going to pay you a visit. As time goes by though, you realize these hauntings are really just that – aftershock waves from an emotional earthquake that fractured the foundation your emotional house was built on. These waves can be easily weathered, ridden, and taken so much less seriously once the knowingness is secured that they won’t ever take your house down again. So, how do you secure that knowingness while mourning a relational death in the eye of an Armageddon storm? How do you rise up from your own emotional death? It doesn’t matter how much you know that you need to get over your breakup – You first need to ask yourself if you want to get over it right now. Remember, as humans we are not going to electively engage in anything that we are not getting satisfaction from – even if that satisfaction is the comfort we attain from the predictability of our own heartbreak, stalking, obsessive thoughts, self-blame, misery, what if’s, coulda/woulda/shoulda’s, and abandonment issues. How long does it take to get over a breakup? – Obviously, everyone is different. HOWEVER – Here are the 5 main things that kept me from moving on, increased my desperation factor, diminished any confidence I had left, and decimated my bounce back rate into a negative percentile. If you understand and apply the lessons though, you’ll be moved on and living your best life much sooner than your heart can believe right now. HOW LONG DOES IT TAKE TO GET OVER A BREAKUP? KILLER #1: Unhealthy is the hardest. Understand that the worst relationships have the best moments. That’s all they are though – MOMENTS. And the value of those individual moments gets massively inflated – not due to their ACTUAL quality, but due to the literal LACK of relational quality surrounding them. Unhealthy relationships are the hardest to get over because there are always these little mind f*cking seeds of ambiguity, what if’s, and a lack of understanding/closure which creates a lot of anxiety. Fear that your ex will move on and become the person that they were in the beginning, 100% of the time – in a better relationship with a better partner – then takes over. The only way out: Make the decision to unsubscribe from the fake news of your insecurities. Connected, empathetic, responsible, and mature adults don’t just all of a sudden combust into disconnected, empathetically bankrupt, emotional bed sh*tting, irresponsible f*cktards because of anything that you are/aren’t, did/didn’t do. No matter how poorly or amazingly I am ever treated, no one has the power to ignite a total personality transplant in me. You don’t have that power either. You are not a f*cktard whisperer – you’re someone who commands respect by speaking with her actions, lets people own their own behavior, and understands that nothing has anything to do with you but YOU. Missing relational junk food that was good in the moment is normal. Pulling the wool over your eyes to the extent of labeling it as caviar and the finest filet mignon does nothing but de-pedestal YOU into being your own emotional junk food manufacturer. HOW LONG DOES IT TAKE TO GET OVER A BREAKUP? KILLER #2: Fear disabling relief. Looking back, I was more scared of letting go of my hopes, dreams, plans, and “our routine” (even if it was destructive/draining/didn’t make me feel good), than I ever was of losing my ex. Do not ever be scared of losing a f*cktard. If someone has proven to have the capacity to devalue, deceive, and be hot/cold, shifty/shady with you, trust me when I say they were already lost when you found them. Hold onto the parts of you that feel relieved. They ARE there. I’ve learned through yoga that when you stretch a tight muscle, yes it will feel uncomfortable, sometimes painful, but there are also other muscles that actually feel relief during that stretch because they’re always working harder than others. Be relieved that you don’t have anyone cheating on you, lying to you, pulling the wool over your eyes, potentially giving you an STD, mind f*cking you, mixed-signaling you, drunk/high texting you, keeping online dating profiles open, or deflecting blame. If you allow fear to infiltrate, it will disable your INNATE ABILITY to experience emotional exhalation and relief. Making the decision to stop arguing with, cockblocking, and denying reality is so.much.easier than believing bullsh*t to the point of blindness. You already did enough of that in your relationsh*t. Why continue? HOW LONG DOES IT TAKE TO GET OVER A BREAKUP? KILLER #3: Blinders. You can’t accept what is until you recognize what isn’t. Looking back, the hardest thing for me wasn’t letting go of the only shot I got at Happily Ever After. The hardest thing for me was accepting who my ex revealed himself to be and THEN, letting go of the hope/dream/illusion/delusion of what he wasn’t – no matter how much social media begged to differ. If it takes YOU having to shine YOUR LIGHT on a relationship/partner to only THEN be able to marvel at their illumination, trust me when I say, they won’t continue to glow once the light has left the building. YOU created the happiness that you felt in your relationship. Just like you are now creating the extra misery that you don’t need by making the emotional handicap of your grown adult ex a barometer of your value. HOW LONG DOES IT TAKE TO GET OVER A BREAKUP? KILLER #4: Prioritizing safety at all costs. No matter what happened in your breakup, all breakups are traumatizing. And when we experience trauma, the now blank space in front of us that used to be filled with so many plans for a future together scares us. We then moth-to-a-flame STICK to what makes us feel the most safe. The moment I would think about starting over – putting myself back out there, dating someone new, getting out of my comfort zone and taking action… It was all just too much. So, I’d retreat back to my emotional pacifier of feeling rejected, abandoned, not good enough, angry and obsessive. This lead to serious delusion, avoidance, and denial about my ex because I couldn’t separate what he did/didn’t do from my own feelings of worthlessness. And just like you can’t be in a state of denial and acceptance simultaneously, you can’t be avoidant and accountable at the same time either. I was unable to let go. Holding onto your ex in any way lengthens the time that it will take you to get over your breakup. You need to break the part of you that believes it can’t be happy or thrive without someone else – Not strengthen it by running from taking ownership of the responsibility that you have for your own experiences in this life. I’ve caused so much unnecessary pain for myself and others by giving a false narrative to a breakup just because it conveniently catered to pain in my childhood. This accomplished nothing but a massive dependence on validation from others and tying all my worth to getting a cat (f*cktard) to bark. HOW LONG DOES IT TAKE TO GET OVER A BREAKUP? KILLER #5: Resistance, shutting off, and being okay with your own death. Surender to the pain and feel your way through it because it really is here to pass, not to stay. How long does it take to get over a breakup? My best answer: Forget time. Focus on creating space. Don’t listen to anyone who says that you should be over it by now or has any opinion as to set amounts of time – there aren’t any because no one else is YOU. We all process pain on our own time. If you can’t stop social media stalking, you don’t have to right now. It’s okay. As long as you are going through your process with the filter of reality and understanding that the person in those photos is someone you don’t know, you will be okay. Mourn the death of the person you hoped and thought existed. If you don’t, you’re just breathing life into a fictional character fueled by your own feelings of inadequacy. Even after the breakups where I felt like there was no way I’d ever be okay again, guess what? I lived. I lived in spite of what died in me because I realized the parts of me that died were never meant to live – insecurity, self-doubt, and an inability to call it a duck when it was quacking with feathers in a pond. I didn’t take it day by day or hour by hour. I took it minute by minute. Slowly, time passed and I realize that I hadn’t felt a pain contraction in a while. I heard our song, walked past THAT street intersection, thought of us… and it wasn’t as painful or as “close by,” as it used to be. There was space around it all. Not because I woke up one day, read an article, and the space was suddenly created. It was because, little by little, I stumbled, crawled, got back up and ultimately… STEPPED AWAY from it. Don’t ever insult your pain and process by reducing it to a timestamp. Lean on the truth, lean on me, and lean on each other. Thank you all for being a part of this tribe. Thank you for creating this community through your own pain, stumbles, realizations, vulnerability, and deciding to use the emotional ineptness of others to motivate us all out of our own. Together. Thank you Natasha… this post couldn’t have come at a better time! I never would have thought that a four month relationship would’ve had such a devastating effect on me, but it has. Reading the blog has helped me through my heartbreak so very much. Please keep them coming.. I look forward to each and every post! I want to write a comment butI can’t find that option under any article, only the option to reply. I wanted to express too many times how thankful I am for this blog. It’s my life jacket that helps me survive after my titanic sunk. I am going through an extremely brutal break up , I have a severe PTSD. I didn’t even get the chance to grieve the loss of my loved one because the shock of his ungrateful, selfish, cruel and unbelievably inhuman treatment ,especially during the break up, didn’t even start to subside. I would rather be physically abused because the emotional abuse , the slow drainage of your blood drop by drop just makes you wake up one day dangerously anemic.. it’s the hardest thing I have ever been through, I can’t believe he turned out to be so insensitive, so sadistic the same person that said he would give up his biggest dreams for me if necessary…. I am so sorry for the loss of your loved one and everything that you have/are going through. You are not alone – You are loved, supported, and understood here. Sending big love to you. As a man I can only give this advise. As I was in a long 8 year relationship with an older woman. 15 years older. We lived together for 6 years but never got married. I would say this Never lie to yourself and never lie to your partner. If you cannot commit to marriage after 3 or 4 years it is time to move on. Dont live in delusion because they sad day will come when it all comes to an end. The hurtful part of it all is her ability to move on like 8 years meant nothing. No sadness or remorse on her part. She was unbelievably cruel during the last months of the relationship. She flaunted her new online boyfriend in front of me and destroyed my ego and spirit up until the end. She blamed me for wasting her life and not giving her a child at fr***king 50 years old. Yesterday was the world cup match and I made the mistake of inviting her to my local pub to watch the game and eat and drink. She spent her whole time acting miserable and she only wanted a free meal and drinks and then to run home and text her online boyfriend. I live in a delusional mindset that we can still be friends but every friendly get together prevents me from moving on. At 36 years old I have learned alot but the biggest lesson never lie to yourself. She was older and I never wanted to hurt her but if something is not right in the relationship a man has to speak up. Never live in delusion you will hurt your partner and you will hurt yourself if you really loved that person. In the end I did everything possible not hurt her but I was the one left devastated, hurt and sad. CM, Crikey this sounds very similar to my current situation! My GF and I have finally parted ways < but still living together as I am looking for a house to buy. She is 6 years older than me and I am 37. We were together for nearly 7 years and to be honest probably knew it wouldn't work out many years ago but stayed together for fear of a breakup , the stress etc. She has two daughters in their teens and deep down I want kids but my GF doesn't want anymore.. She seems over the relationship already (less than a month) I think she has mentally prepared for this over the last year or so.. I am gutted but think it for the best , especially if I want children of my own. I hope you get over the hurt asap. I’ve said it before and I’ll say it again, it’s like I’ve found my heart! Thank you so much for your words. Your blog has, truly, been a godsend to me. Natasha you cannot know how much your posts have helped me . You put into words the feelings I am having and help me understand . I was involved with someone who lured me away from a long term relationship with declarations of love and promises of a wonderful future together .He said everything I’d wanted to hear from a man & like a fool I believed him . Once he had me , he then blew hot & cold and did not follow through with a single thing . His excuses were always so plausible, I was sucked into it without realising what was happening .I had never realised what “ red flags” were before , but reading your articles I can now recognise them . I held on as I felt I had given up so much to be with him & like you say I was hoping that person he was at the beginning was going to come back . I eventually ended it but had he would not explain his actions so I have not had any closure . My big fear was that he would be the person he was at the beginning with someone else & that I would hear about it & see him being the perfect partner with someone else .I have not been able to move on a year later because I have been stuck in a cycle of going over & over things trying to understand how someone could behave like that .I have been so desperately sad , not least because I feel so guilty at how I behaved & hurt my long term boyfriend in the process . He was loyal & caring and I left him for that “ f- – – tard” but I did not see it at the time & thought I had met my Prince Charming . This article has really resonated with me & helps me understand why I am feeling like this .Thank you so much . You tell us it’s ok to take time to recover. You tell us it’s not a matter of shame to struggle. You tell us there’s much to look forward to, and meanwhile, it’s ok. Oh, and how you make us laugh. You’re excellently helpful Natasha – and you write so very well indeed. Greetings to your special mother for the foundation she laid; but most of all, thanks to wonderful you for the way you put together thoughts which help so many. YAY! This blog post couldn’t have come at a better time… It’s like it was specifically meant for ME! THANK YOU!! After 13 years a non committal gamer dumps me for s younger girl…he’s doing all the things he once hated in dating..and just laugh as he tells me how wonderful his life is and never meant to hurt me. Natasha…every single post you have had touched everything I have been going through and I have them all printed and refer to them several times a day…its been 45 days and I am ready to tell him please not to text me again..I wish him the best ..I am ready to empower me and stop the hurting..and the whoa is me..as he is out not giving a flying $@!% and living his life…I can’t let him win! Thank you and I will be sure to share your blog with all future girls that get hurt by f@$%tards. Thank you. But can you do a post about how to deal when you’ve realised the mistakes in your relationship but cannot fix it because it is gone and my ex has chosen someone he think is better for him than I? It’s so hard, when you realise you’ve been emotional unavailable and he was the available one and while trying to fix yourself you messed everything up and really lost one of the good guys, maybe THE good guy. It hurts so much but nevertheless I find so much help here on the blog and within this tribe. You self-love post helps a lot with coping this kind of pain and I try to become a better person myself so I never but that emotional burden on someone else because it was never my attention to hurt someone – I was blind, scared and helpless. So S. maybe you can work on yourself so this will never happen to you again and it’s the last gift you can give him: Changing yourself so he knows you put meaning behind your words. Remember you are not alone and I am 100% sure it will pass. Even it hurts so much. But you need to make a commitment to yourself and leave the self-blame behind. You can’t change the past. I really feel your pain! Wow, this is so insightful. It’s been 4 months since the downfall of my 2-year relationship with the man I thought I was going to marry and every day is still so hard. But you’re so right… he’s not who I thought he was, who he pretended to be, and that future we’d talked about was just a fantasy. That’s the hardest pill to swallow. You are a treasured blessing to me and I agree with Karen that this post couldn’t come at a better time! I have been trying for the last six months to recover from and on again off again relationship that only lasted a year. It was filled with moments just like you described as “massively inflated” and while I feel like such a strong, intelligent woman….this relationship has made me question all that I know. Your thoughts and words make the pain much easier to take and knowing that a part of you dies with the break-up is exactly right as there are so many times where I feel like I can’t get up from a seat at my own emotional funeral. Thank you for your wise words, emotional intelligence and frequent posts. I will always trade Rom-Com movies, Nicholas Sparks novels and Websites that fog my “love reality” for the wisdom about real life, tough love and new beginnings that you share with your readers. I look forward to your next post. Hi Kris! I’m smiling from ear to ear while crying tears of so much gratitude, appreciation, love, and respect for you. You are wonderful! You have saved me so many sleepless, hysterically crying nights over the last few months and I seriously cant even or don’t even know how to thank you enough! I am not sure how I even stumbled on your site months ago as I was in the beginning stages of my breakup, but I do thank the universe that you came across my phone. I feel like you are some modern day mermaid guru. Thank you Natasha, thank you, thank you from the bottom of my broken heart. How interesting that you are posed in front of ‘that’ building!!!! Ugh! Constant reminders of an inflated ego now gone! I am now 6 months post break up. Surviving but still feel completely dead inside. Every day I wonder when and if this feeling will ever go away. I have stared dating and although the attention feels great, nothing compares. I find myself so resentful toward him for putting me in this place but at times I find myself energized and excited to meet a better, more solid and put together human being than this empathically bankrupt sole. I am also trying to accept that 6 months is still a short amount of time to get over a 5 1/2 year relationship. Btw, I finally got an email from him, 5 months post blindside. Didn’t respond and a few weeks later got a crazy late night text that forced a response. It involved the LAPD so I had to respond. It wasn’t until the middle of the night I suddenly woke up and realized the text was FAKE and only to get me to respond. Rattled me to think this sh*tbag would go to this length. WTF? His ego was going nuts while I was on the white horse! This kind of thing is what derails me. It confuses you into thinking he still cares when in fact it is only ego driven. Ladies of the tribe… don’t be fooled! Not there yet but moving in the right direction. Natasha, a man chased me shamelessly at a vulnerable time in my life. Made me feel beautiful and worthy. (Which I didn’t realize I was without any validation from anyone!) Then he started lying and not calling and ghosting and THEN saying he couldn’t live without me. At the time my aunt said the wisest words to me. “He doesn’t like women. He THINKS he does. But he doesn’t. You aren’t the first he’s treated this way and you won’t be the last.” Bam!! So So So True!! We think our worth is based on men and doubt ourselves when they treat us badly. Natasha, your words reflect our feelings and help us sort all these feelings out. We women need each other to understand motives, reality, etc. Kudos to us , Strong, Growing Women! YES YES YES. Agreed 🙂 What a wise and incredible aunt you have – doesn’t surprise me one bit because that’s what you are to me. Thank you, thank you, thank you, Natasha. I had literally woken up this morning and asked myself: WHEN. When will I stop? When will I let all this crap go? It’s been 8 months and our relationship lasted only 13. While I would NEVER dismount my white horse or allow the ex back in my life, I struggle with watching him “move on” with another girl via social media. He’s met and befriended her entire family, adventures with her to new places every weekend, and posts photos of just her face (as though to show her off) – all things he never did with me. I started to question whether he has, indeed, found a better, more interesting / beautiful / exciting partner… whether he’s finally been able to express his feelings… whether he’s told her he loves her when he never did with me… and whether he is the person he was with me in the beginning 100% of the time with her. Thank you for reminding me that what I am seeing are just inflated moments that mask who he truly is underneath. Thank you for reminding me that it was my light, and now this new girl’s light, that illuminates that empty hollow shell of a human he is deep inside. Thank you for reminding me that I know the truth… and she has yet to discover it. Thank you so much for this, it really helped me through a trashy breakup, it really means a lot to me. After finding out that my ex was a massive narcissist and was dating somebody else for 7 months behind my back I was left devastated and literally on the floor. Your blogs always give me just that little bit of inspiration to get me through a bad day. I can’t say that it lasts long but at the time it’s usually all that i need to (as you would say) put one foot in front of the other. The age old adage that you can’t change somebody else or affect their actions you can only concentrate on yourself and what you do and say is so true. Some people are on a journey of self destruction and don’t even realise it themselves so how on earth are you expected to be able to affect it all or change it when they can’t even recognise it for themselves?? It’s so very sad but we all just have to pick ourselves up off the floor dust ourselves off and remind ourselves that we are all worth so much more than the narcissist was ever able to give us and we are not the broken ones. We are all on our own journey of discovery and for me it’s realising that I have taken too much for too long from people who never deserved my time or effort in the first place. Is there anything you DON’T get? I always feel like I am talking to something inside of me when I read your blogs… the part that has questioned all of these things… and the answer that I am it crazy. Just know how much we appreciate your experience and work. Natasha, God uses people to speak to and help others. He has given you a gift. This is your life’s purpose…. to “use your pain”, as you have said, for a purpose. You are like the “love evangelist”! Everything you said in this article was so, sooo spot on. Many people comment that it’s like you’re writing specifically for them…. that shows us how many women go through these exact same situations and feelings and that we are not alone!!! You have the courage to put your vulnerabilities and mistakes out there for all to see in an effort to save others. You say what others are afraid to. That makes you the Hero of this tribe, and we salute you!!! Thank you for your courage, insight, and willingness to help strangers you’ve never met. Your articles are he best counseling sessions I’ve ever received!!! WOW ?♥️ this made me tear up. Thank you from the bottom of my heart. Your love, connection, support and encouragement mean the world to me. You are nothing but a brilliant brain of empathy wrapped up in a love poem for us gals/guys. ???? Thankyou natasha so much,I have woke up every morning.trying to stalk him on his friends social media as im blocked even emailing him begging when im prob blocked there. Too. Natasha, I’ve just discovered your blogs. Wow. I’ve read so many self help books to do with ‘getting over an ex’ and none of them seem to understand what I’m going through. Reading this blog feels like you know how I’m feeling and you’re writing about me! I was only with my ex for 6 months. However, over a year later I am still under his ‘spell’ and can’t seem to break away from it. He’s seeing someone else and has been for a while but still manipulates me and tells me he still loves me. It’s messing with my head and I can’t seem to break away. I thought I was a strong woman but I’m being defeated by him. I know what I need to do but it’s just doing it that I’m finding hard. I know I’ll get through it…. I just need to be strong. Your blogs are greatly appreciated. Thank you! Hi N! Thank you ?? I’m glad that the posts have helped! You WILL get through it. If I can, so can you. All my love to you sister. Thank you for your love, support, and for being a part of this tribe ? Starlie! 🙂 I’ve missed you! So happy that the post helped. YES – I have definitely been there and you are so right. Thanks Natasha for another thought-provoking, awareness-inducing post. Everything you wrote resonated, but what hit me like a lightning bolt was the understanding that I had been the one creating the happiness within my relationsh*t. I hadn’t framed things that way before. My relationsh*t lasted 4 years, and we lived together for 3.5 of them. 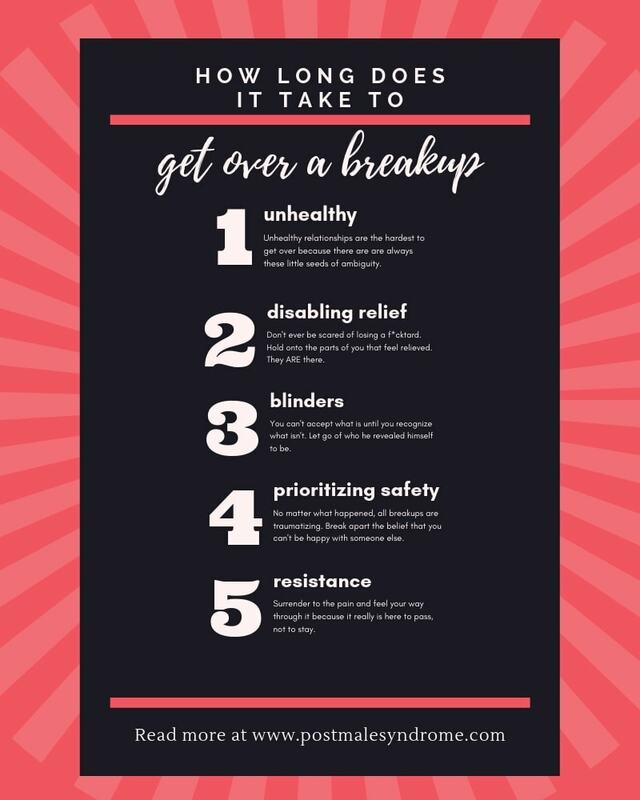 I ignored a series of red flags because I had blinders on, thinking that I was “strong enough” to endure the emotionally and physically abusive behavior of my ex. The result of my “I’m strong enough to handle this” thinking was that I doormatted myself. When she hit me for the first time, I thought “well it’s not a big deal, she can’t actually hurt me” instead of recognizing that her willingness to do that reflected a lack of respect and value for me. And I realize, after reading your post, that the reason I didn’t recognize that fact in real-time is because I was looking at a reflection of my own light within the relationship…that, I saw what I wanted to see instead of what actually was. Thanks for helping me reframe what I lived through, I feel a lot better today. YES. Brandon, I want to hug and high-5 you at the same time. Happy that the post helped! Thank you for sharing, thank you for your support, and THANK YOU for being YOU. Hello Natasha. I found this today and it was perfect timing. It for some reason was a rough day. All the things you say are so on target with me right now. I’m sure I’m guilty of creating the happiness in our relationship. I never thought about it and I guess that is because I never want to believe he had no feelings for me. I still struggle after almost 9 months. I am ghosted constantly. I still have dreams with him in it. I truly believe he is happier without me but who knows. I do agree that time does not make any difference. Unless you have had your heart smashed to pieces, you never know. I don’t listen to those around me who want to speak to me about time. That’s just ridiculous. Grief takes as long as it takes. I am not over the pain and not sure I will be. It is always there but I do know that I am better for learning from you, and I am a work in progress. I am not him who has deep seated issues but pretends not to all while in a relationship until he decides it’s over. I am more self aware and my boundaries are set and I have tools from you. Mostly I have a horse you gave to me? and we are staying together. Thank you for this post Natasha. You are a lady with a gift and I too believe you are using your experiences to help people. You are amazing and so is this tribe. Thank you for sharing everyone. ??? ?‍♀️♥️ Thank you so much Linda. I thought about you while writing this – especially in regards to the time factor. I completely agree with you. Just keep riding your white horse and know how loved, appreciated, supported, and valued you and every one of your beautiful comments are. I love and miss you ?? Wow! This is my favorite post so far! I absolutely LOVE this! Likewise Christine ???‍♀️? Happy that you enjoyed the post as much as I did writing it. Love you ? F*@tard whisperer. I love how you can make me laugh despite the painful subject. It’s a great gift Natasha you give us each time. I said it before and I say it again – I love your analogies and how you can put to words exactly what most of us are going through but cannot for the longest time understand. I think once we do become aware and start understanding what is really going on, we can start healing. As all your other posts, this one hits home. I love reading the comments too, seeing that there are so many others going through this and finding the light in your posts. A ray of sun in the storm. What a beautiful way to help those in needs and how wonderful for us, who suffer so deeply, to find a place like this, where we can look to the sky and say, finally, there is light and I am not alone. Thank you once again Natasha. I’m obsessed with this post. I mean they are all great. All helpful but this one….. wow! So thankful for you Natasha. So incredibly thankful. Right back at you Sonja ?♥️? This was absolutely amazing! After a year and a half with the love of my life, we parted ways because he doesn’t want kids and I do in the future. It has been the hardest time of my life moving forward but everything you have said is perfect and words for all of us to live by. Thank you for being such an inspiration and sharing your heart with the world. I’m so happy that it helped ?? Thank you for your love and support Casey, and for being a part of this tribe. Seriously, sister, can you look inside my heart? My feelings of inadequacy could have written great novels of blindingly good looking men with enormous members curing cancer and saving puppies from wells. I mean really, why WOULDN’T that guy leave me to experience the world? No one could have convinced me otherwise. Even if Clarence Odbody, Angel 2nd Class, from It’s a Wonderful Life, led me to see each one of my fcktard’s lives, before, during, and after (mostly sitting around on couches staring at their own navels), I would not have let go of the dream. Not because they were great love affairs, but because I had no idea how to redirect the light and energy on myself. And beyond the fact that this one is so insightful is the tear-inducing affirmation that the MADNESS doesn’t end there. Because even when you see the reality, it’s hard to let go of the fantasy. Even after I could accept the reality, I almost felt I could breathe a fcktard into a new body/existence, from the sheer ENERGY I was creating seeking avoidance & security from my own feelings of inadequacy. Which is all to say, thank you for doing what you do. Because it’s one thing to tell a gal, “he’s not the guy you think he was.” (also important). But it’s another to explain that there is a REASON you feel insane, chasing after an empty shell. You’re leading us to realize that our insecurities are amazingly creative AND STUBBORN inventors, and I’m not the only one who has spent “too long” blaming myself for not being good enough to stay with a figment of my own imagaination. Great post. For the most part, I feel that Im over my sudden break up. It doesnt hurt as much. I definitely cannot shed another tear over it but I do admit that at times, I wonder. Wonder if he sometimes thinks of me. Wonder what hes up to. If hes happy. Wonder why it ended? I know Id never want him back but because it ended so abruptly without an explanation after 2 years of dating, I cant help but to simply just WONDER. Anyway, Ive directed your posts to all of my friends going through a break up. You have no idea how much youve been a savior in my life… Thank you for your wisdom, your words of encouragement and reminders that Im not alone. Thank you 🙂 Sharing my posts is the best compliment/gift ever. You are understood, appreciated, supported, and never alone. As usual, you have such a way with words! This is me EXACTLY: “Mourn the death of the person you hoped and thought existed. If you don’t, you’re just breathing life into a fictional character fueled by your own feelings of inadequacy.” It’s time to stop feeding the fictional f*cktard / character. Thank you for your posts. I’m late to reading this post but felt the need to comment. It’s been awhile since my hell started and I’ve often wondered when it’ll truly be over, when will I not care anymore, hurt, remember, see a reflection of my pain in my daughter’s eyes. This post is a kind but tough love reminder that I’ve come a long way and that is absolutely okay because I’m better than I was before. Baby steps..however long it takes but I’ll be okay, it’ll be okay, I even see the possibility that maybe better than okay. Just seeing your reply made me cry because yesterday I was good and I hadn’t felt sad in awhile and today I do. I hate this damn roller coaster that I can’t get off of. I’ll be reading other posts for awhile tonight and praying. Tomorrow will be better. It’s been almost 3 years since the relationship ended.Just the other day my friend was shocked when I said I still struggle.It made me feel like I was’nt doing enough to get over it. Thank you for being one who actually understands and says it out loud. It was so freeing to hear that it’s ok for it to take time.That it’s ok for me to look for him even thought I know I cant reach him. That it’s ok to miss him and feel weak at times. I also know that I am doing so much better than a year ago. I only think about him for 20% of my day compared to 80%. I don’t cry anymore when I hear our songs. When I pass by places we used to visit I can hardly remember us there anymore. I feel relieved in many ways that it’s over. I realize it was a relationship that should never have been. Im coming to terms with there being no possibility of a friendship in the future. I am so grateful for your posts. So glad that there is you and a whole tribe out there who understands me and what it’s been like. I have looked for that in so many places and have not found the love, grace, acceptance and understanding that you are inspiring. Natasha, you are seriously amazing. I found you by googling “why is my ex flaunting his new relationship on instagram”, it took me to one of your previous posts that explained rebound relationships. You are smart and you are so funny too, I’ve laughed out loud at some of your comments. Reading your blogs every day and repeat reads too that are helping to sooth my frazzled nervous system while getting through this breakup. Thankyou thankyou thankyou, sending tons of love and appreciation your way ??? Hi Tara! I am so happy to help 🙂 (and happy to make you laugh too – I lol most of the time when I’m writing them haha). Natasha, your posts have changed my life. Three months ago, my boyfriend of two years ended the relationship and asked me to move out after living together for only one month. It was exhausting. I was living a lie, and in the end I couldn’t keep pretending to be someone I’m not. I always wanted more, and he ended the relationship on the basis that he ‘just couldn’t give me what I needed and deserved.’ It’s also worth mentioning that he has a genetic disease and became hospitalised for 6 months while we were together. I supported him through this and lost myself in the process. The last three months have been the hardest of my life and I’ve felt more pain than I even knew possible. I’m still coming to terms with how suddenly it ended and how unwilling he was to try and make things work, despite me giving my all to him. What I’ve found the most difficult is how fine he seems to be doing without me and how he’s just been able to get on with his life like nothing happened. I’m slowly rebuilding my life and yesterday was my 60th day of no contact – so I treated myself to a massage to celebrate! I took a complete break from social media and I haven’t looked at his Facebook or Instagram once since the breakup. But, yesterday I bumped into two of his closest friends and I accidentally saw a comment he made on Facebook. It was nothing upsetting, but these things triggered me, and it’s taken me a while to pick myself back up again. Thank you for everything. You’ve helped me more than you could ever know. Thank you so much for your love, support, for taking the time to share, and for being a part of this tribe. I am eternally grateful to my Mom for the white horse and orange tree – it’s so true. You are never alone in this or ever. I am so happy to help. Love you soul sister. I recently found out that my ex is not doing so well and his illness has gotten worse since we broke up almost 10 mnths ago. This was a big issue in our relationship among other things and i do believe had about 80% to do with the problems we had. I am not trying to make excuses or diminish the amount of pain he caused. But i was with him for almost 3 yrs. and I witnessed first hand just how bad it could get. The roller coaster of emotions and the higbs and lows … it was heartbreaking to see what it was doing to him and us. The thing is it was his responsibility to manage his health as best as he could and he didnt. This led to numerous problems and fueled his addiction. All the while it was me pleading and fighting with him when i knew he wasnt well and wouldn’t have made many of the decisions he did if he was stable. When he was stable you couldnt keep us apart and we were closer than anything and we were strong and I felt loved. It was those moments that kept me there and the love I had for him and knowing the illness he struggled with made me more understanding and forgiving. But that also caused me to lose my boundaries and that cost me the most and it started breaking me down inside. When we broke up this last time I was devastated. I knew he wasn’t well and his actions and behavior proved that. But this time the trust had been completely broken and i felt blindsided. When just days before we had put down a deposit on our condo and were planning our wedding. How the f@ck could this be happening … ?? How?? The questions and the never-ending cycle of what ifs and the self blame and guilt and pain after the breakup was relentless. I had myself convinced he was happier now with the girl he went out with the last time we broke up for a few months. Yep that girl who he went running back to less than a month after we broke up. And the pics of him and her on fb that followed… I had to stay off FB because it was just not worth the pain it was causing me to look. So i have not been on there since November and I have no desire to go back on. The only thing i have now is Instagram and he is not on there. I have not reached out since earlier in the breakup and it was only once. He still has things of mine that he has never given back and rather than hound him for it .. I just let it go. I had to hold onto whatever dignity was left in me to not let him see how much I was dying inside. I didnt just lose him and everything I fought so hard to keep, but i felt like I lost his family too who I was extremely close with and especially his mom and sister. They were both very loving and supportive and they were the only ones that understood exactly what this mental illness has done to someone they loved for years now. I will still get an occasional message from his mom just telling me that she misses me and hopes I am doing well. This woman went above and beyond for me throughout my relationship with her son and was very genuine and loving in a way that reminded me of my own mother. She would tell people this is my daughter and the best thing thats ever happened to my son. ? Yes she is a wonderful human being and that made it even more difficult to let go and have the space I needed to tey and heal. I saw a recent post on IG from my ex’s sister and it broke my heart …It was about him and how he’s been sick for awhile now and it has changed who he is as a person and he is not the same person she has loved her whole life and she is very sad that he may never come back to the loving brother she knew. There was more to what she wrote but basically she was sharing the sadness she feels inside and was finally talking about it. When I read what she wrote I started crying. Every single thing she said was EXACTLY how I had felt about him and what this illness has done to not just him but the people that love him. It was then I realized that this fallacy and I had convinced myself in my mind about how happy my ex must be without me was completely wrong. And he is very ill and struggling with his demons. How could I feel good about someone I loved so much is sick and broken right now… ? Ypu would think wirh all the pain and suffering i went thru i migbt feel somewhat relived that his life is not the happily ever after I thought ot was. Nope. My heart is still heavy with all kinds of emotions and despite what he did I still don’t wish this on anyone. It’s not who I am. And even though this is no longer my problem and he is no longer in my life I can’t just pretend that i don’t care what happens to him. I was there…i saw firsthand what this illness can do and it can be devastating. Last nigbt I was at Nordstrom and I could not believe that I actually saw the girl he was with after we broke up with her daughter shopping!! I swear I almost had a panic attack my heart was racing and I felt sick to my stomach. She didnt see me but I just watched her from a distance and studied her. I felt a loathing and disgust for someone i didnt even know. And the thing is I don’t even think they are together anymore especially if he’s this ill. He can’t cope with the stress of any relationship and he shuts down and cuts you off. Anyhow I had to get out of there asap and as soon as I got in my car I started crying. I was thinking about all the times I stood by his side and was there for him and all i kept asking was why did he give up on us? On himself?? Why wasn’t the fear of losing me for good this time enough to make him well!! And then I realized that no one and not even me or his family has the power to heal him or make him take responsibility for his health. That was always on him. I cannot begin to tell you how incredibly hard it is to watch someone you love self destruct right in front of you and there is nothing you can do if they won’t help themselves. And sometimes all you can do is walk away and let them go with love and peace. I’m sorry for this long post.. I just needed to let out what I was feeling lately and that it’s still difficult to this day to let go of the past and the hopes and dreams that were once there. I am still finding my way… one day at a time. Love to all in this beautiful tribe. I feel you and I know what you are going thru. Thank you so much for sharing your story, pain, heartbreak, and shining light on the devastation of illness. We are here loving, supporting, and backing you 1000%. Thank you so much Jen. And it goes without saying that and relationships can be difficult at times but when you throw any kind of mental illness into the mix and it can be 10x’s harder if its not managed properly and the destruction it can cause is beyond. I read your post and I can definitely see many similarities between us. I am sorry for your pain as well. Truly. I do understand my sister. Natasha’s words and all her posts have saved me so many times from falling off my white horse. I am moving forward a little more everyday and I am much stronger than i was just a few months ago. Yes the pain is still there but I have learned to allow myself to feel it and let it pass. It has definitely made me look deeper within myself and work on my own issues. I’ve been following this blog since my ex broke up with me (sept. 2015) and while my brain recognizes that EVERYTHING you’re saying is true, it just can’t switch off the residual resentment, insecurity and low self-esteem he left me with. I’ve gotten a lot better since then but I still am wishing for karma to come his way when I know I should just be focusing on myself. I think it’s hard because we were together for a year (lived and worked together) and adopted a dog so he was my first real adult relationship, not to mention the actual tingles I would get for him. But he cheated on me with my manager and now they are engaged a year and a half after he ended things so I think that has brought up the insecurity issues again. I’m just disappointed that while both of them are horrible, they get to have the happy ending, while I’m struggling. I think I’m going to go over some of your old articles to cheer myself up! I’m crying after reading this. It touched on everything I’m feeling and going through. The pain of having someone in my life for six months that all of a sudden ghosted me is indescribable. He made me feel so wonderful, professed his love to me and actually discussed happily-ever-after plans for the future with me. I thought he was it for me. And it hurts so much because I keep overthinking what happened and making up reasons as to why he no longer cares enough to contact me. Was I not enough for him that he suddenly lost all feelings for me that seemed so genuine at the time? From your posts I’ve learned many valuable things that I’m clinging to. He revealed himself to me. He was this self-centered person all along. I can see some small things now that indicate this. I created the happiness I felt in the relationship, and he will reveal his true self to everyone else in the future. Your words and insight have been invaluable. I feel like I’m slowly starting to process and heal. It’s so helpful to know I’m not the only one. Please keep writing and sharing your thoughts, insight and love. I am so happy and honored to help 🙂 You are loved, supported, believed in, backed, understood, and never alone. Thank you so much for your love, support, and for being a part of this tribe. I’ve been exactly where you are at and if I can get through it, so.can.YOU. I just ended things with my ex who wasn’t my ex. He was absolutely head over heels for me in the first couple of months and then when I began to feel similarly and wanted to define the relationship, he said he no longer had the same feelings. He would push me until I had enough but reel me back in before I actually left. This is my first heartbreak and though I do not understand why he did what he did, I really needed this right now. Thank you so much. Thank you for this article Natasha. I really needed this. I broke up with my girlfriend of only five months at the end of May, 2018 and it completely ruined me. I loved her (and her four children) with every atom of my body. It is now September and I am still feeling the pain of it. Looking back I realise that our relationship was probably doomed from the start, but that isn’t the reason I broke it off. Like I said, I loved her with my whole heart and soul, and even though she told me she did too…I doubted her. I didn’t feel sincere. She’d often express interest in other men and women, tell me that she wants to flirt with other people, and for a short time she had an open profile on dating site while we were still together. She accused me of not trusting her, often. I made mistakes in the relationship as well, I won’t deny that. I also wasn’t in the best place financially at the time and felt inadequate, that my love would not be enough for her. I got tired of never knowing whether she wanted to love me or kick me aside… One day I decided it was enough. I told her that despite how much I love her, it was not fair of me to ask her put her life on hold for me while I looked for a better paying job so that we could have a child of our own. A few days later I went to collect some things that I had left at her place and we talked for a couple hours. I had closure at the end and I just wanted to drive away and leave it at that, but as soon as I got home I found a text from her telling me how naked her finger feels without my ring on it, and then she sent me a selfie of herself after coming in from the rain…all the closure I had received was gone. After that we talked regularly and it just led from one argument to another making me feel guilty for leaving her. I decided to just stop engaging her but after a few days or weeks of silence she’d message me to see if I am okay… Then a few weeks ago I find out that the entire that she was making me feel guilty she had been seeing someone else. I was devastated beyond belief. I began to feel like I’d never get over this. Your article has helped me to understand that I just need to process this in my own time and eventually this will get better. Thank you. You will get through this. If I can, so.can.YOU. You are loved, understood, empathized with, and never alone. – And you deserve so much more than anyone’s crumbs. Good points! All of them! I was in an on-off relationship with a self-centered boy for almost 1.5 years. He cheated on his gf of 2.5 yrs with me for 6 months. Neither of us knew until he confessed (or most likely got caught by his gf)… I was devastated but he lured me back in after 3 weeks of no contact. I gave him another chance to no avail; and lost myself in the process. The relationship was extremely one-sided! He victimized himself after suffering the consequences of his cheating. Over time he revealed his low self-esteem, depression, arrogance, lack of empathy for my pain, and selfishness. All for it to end with him saying I’m a terrific person but he just sees me as a friend. It was ultimately a mutual breakup because I was so depressed and unhappy with the lack of appreciation and love I felt after everything I gave into the relationship. I do feel relieved and finally at peace. All my friends and family are happy that I ditched that loser! They didn’t like him! I keep telling myself to move forward and that he is not going to change it a new girl enters his life soon. This article is going to help me get through this process. I want to accept the breakup and enjoy being single. I don’t want to obsess over him or our dead relationship. It died months before we actually broke up (which was a month ago). One little problem is that we’re both in the same triathlon club. It’s my community in town so figuring out when to go back to workouts and social events is tricky. He was at the last event and I did not respond well to being within his vicinity. Especially the way he smirked at his phone while reading a text. Ugh. I also don’t want to let him enjoy the Tri club while miss out! He’s not worth it! I just wanted to say THANK YOU. I’m currently in recovery after a pretty traumatic breakup and finding your blog was a complete godsend. It’s amazing to not feel alone and to have someone be able to voice the emotions that so many of us feel after a breakup. You put so many things in perspective and what gave me the biggest peace of mind was this: “I didn’t take it day by day or hour by hour. I took it minute by minute.” This hit home. Since my breakup, my emotions have been all over the place. Angry, sad, relief, regret – all of these feelings in a span of 15 minutes – I felt crazy. But knowing that I can take steps, minute by minute gave me a true sense of peace and acceptance. It’s not something that will be fixed overnight or even in a month. It’s a process and I appreciate your words and understanding that there isn’t a quick fix for heartbreak. BUT there IS a light at the end of the tunnel along with a better sense of self. I have been there and you are not alone. I’m so happy that the posts are helping <3 You will regret reacting but you will never regret staying on your white horse. Thank you for being a part of this tribe.